The same technology found in the Royole Moon personal home cinema headset has now been used to make a touch-sensitive selfie stick. Royole, which makes advanced flexible displays, flexible sensors, and smart devices, announced that it has been named a CES 2018 Innovation Awards Honoree for its Selfie Stick. Instead of physical buttons found on traditional selfie sticks, multi-function flexible sensors wrap around the device handle and allow users to easily control all camera functions such as focus, filter selection, front and rear camera selection, recording, shutter, and more. 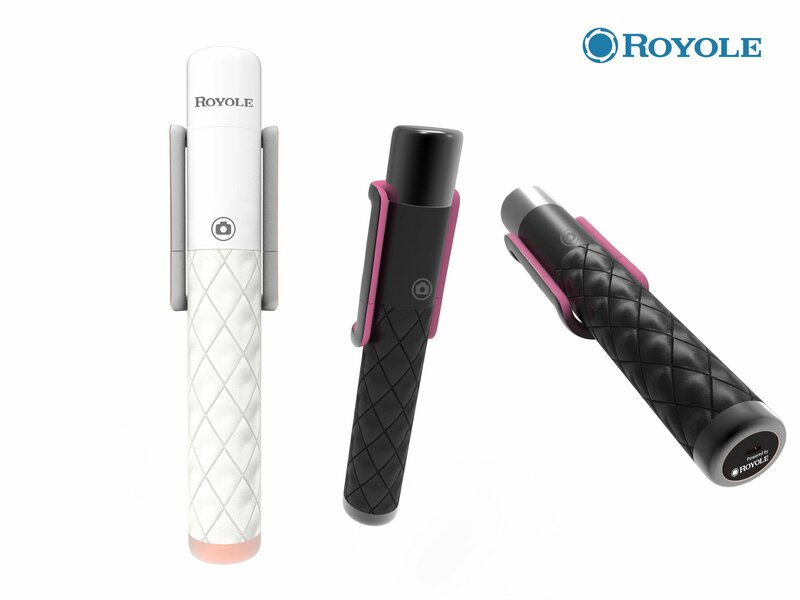 The Royole Selfie Stick is based on the company’s unique ultra-thin transparent flexible sensors. Instead of physical buttons found on traditional selfie sticks, multi-function flexible sensors wrap around the device handle and allow users to easily control all camera functions such as: focus, filter selection, front and rear camera selection, recording, shutter, and more. However, the ‘elegant’ leather design is inspired by Chanel’s classic diamond-shaped lattice bag, which will make it a bling rather than a practical choice.